At your fingertips you'll find over 1,000 at-home remedies for your pet's problems. 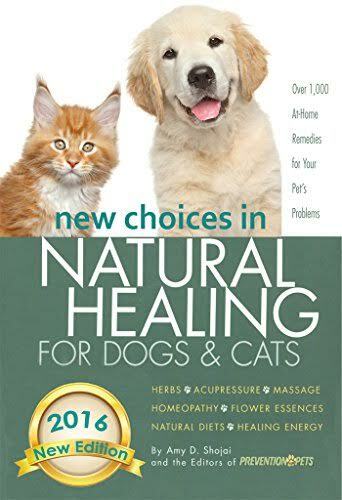 Herbs * Acupressure * Massage * Homeopathy * Flower essences * Natural diets * Healing energy This new edition is a vet-approved, authoritative guide to homeopathy, supplements, and hundreds of other new choices for keeping dogs and cats healthy! Strengthen joints and repair cartilage with this all-natural enzyme (page 114). Push the "aspirin" point for instant pain relief (page 135). Stop behavior problems like barking with a flower essence (page 150). Herbs that fortify immunity and can help prevent cancer (page 178). Eliminate swelling with this powerful nutrient (page 233). A one-week plan to get rid of fleas-- without harmful chemicals (page 263). Discover for yourself how America's top holistic veterinarians treat their pets without using drugs...and how you can do it, too!